Excellent Carpet Cleaning is a leading hard floor cleaning company, which offers affordable and yet high quality hard floor cleaning and polishing services, grout and tile cleaning, slate and stone floor cleaning, hard floor sanding service, vinyl floor cleaning, in Hayes End UB3. Our specialised tile and grout cleaning company can provide you with professional floor sealing and polishing, exterior and interior stone cleaning, wood cleaning and grout colour sealing and recolouring expert services. 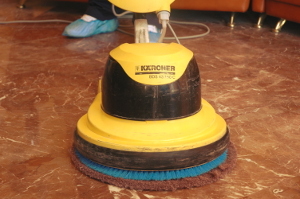 We give reliable and guaranteed domestic and commercial hard floor maintenance services in the area. Our organization provides expert jet washing, patio cleaning, driveway cleaning and other exterior cleaning of paths, decks and drives. We have powerful pressure washing devices, and will help make your outdoor space look rejuvenated. So, if your outdoor or indoor hard floor needs cleaning, ensure you book our hard floor cleaning and jet washing services! Just call 020 3404 0500 or give us an online order here. Our customer care operators are here for you, so you will shortly be receiving a written confirmation for the reservation. We will be able to provide same day service, but we are also available 365 days a year. We need no deposit for booking also. Our rates are set, with no covered fees. We award customers who book more than one of our services at a time with very attractive discount rates. Those who reserve early on, frequent customers, firms and property owners will receive preferential prices for all of our services. Don’t hesitate - book our jet washing and hard floor cleaning service right now!